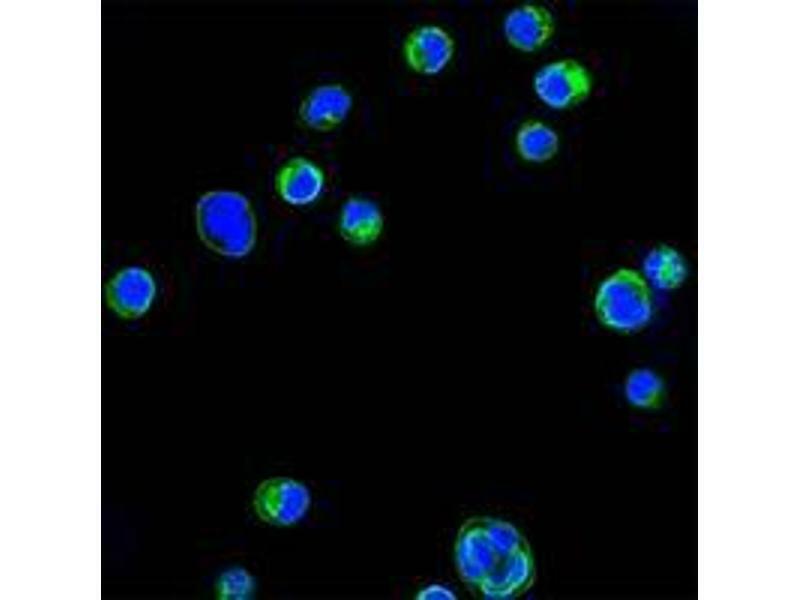 Figure 1: Confocal immunofluorescence analysis of HL60 cells using CD18 mouse mAb (green) . Blue: DRAQ5 fluorescent DNA dye. 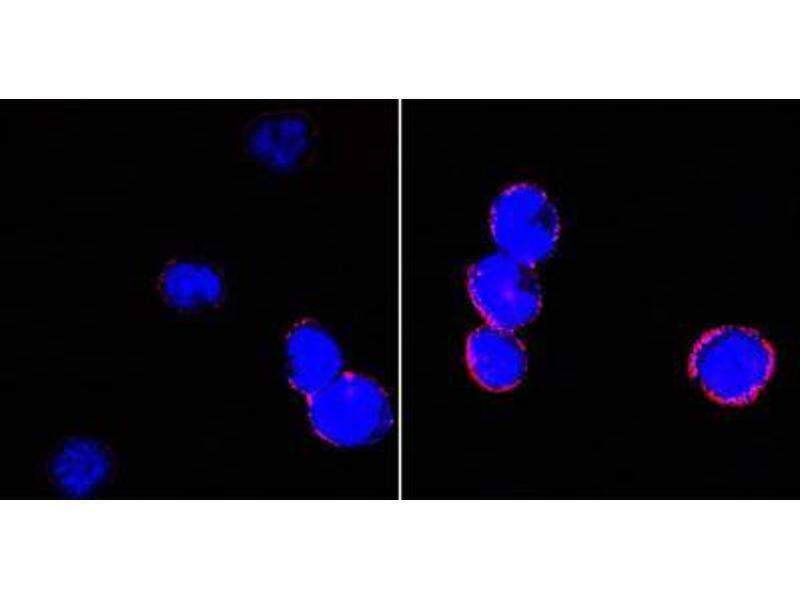 Figure 2: Confocal immunofluorescence analysis of BCBL-1 cells (left) and L1210 cells (right) using CD18 mouse mAb (red) . Blue: DRAQ5 fluorescent DNA dye. Immunogen Purified recombinant fragment of CD18 expressed in E. Coli. Background CD18, also known as ITGB2 (integrin beta chain beta 2). Integrins are integral cell-surface proteins composed of an alpha chain and a beta chain. A given chain may combine with multiple partners resulting in different integrins. For example, beta 2 combines with the alpha L chain to form the integrin LFA-1, and combines with the alpha M chain to form the integrin Mac-1. Integrins are known to participate in cell adhesion as well as cell-surface mediated signalling. 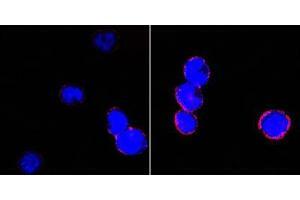 CD18 is expressed by most leucocytes. Defects in this gene are the cause of leukocyte adhesion deficiency type I (LAD1). Two transcript variants encoding the same protein have been identified for this gene.